Las Vegas — Autodesk, Inc. and Esri, Inc. announced the start of a new relationship to build a bridge between BIM and GIS mapping technologies. 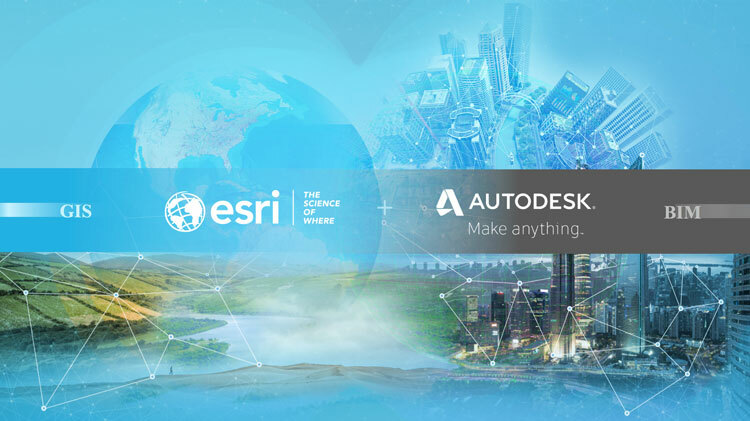 Together Autodesk and Esri plan to enable a broad range of industries to gain better context by visualizing data of the man-made world, the environment, citizens and the networks that weave it all together. This vision was announced by Andrew Anagnost and Jack Dangermond at Autodesk’s annual flagship user event, Autodesk University, in Las Vegas. To learn more, visit the Autodesk and Esri collaboration page at https://www.autodesk.com/solutions/bim/hub/autodesk-esri.